Need a quick, stovetop dinner? 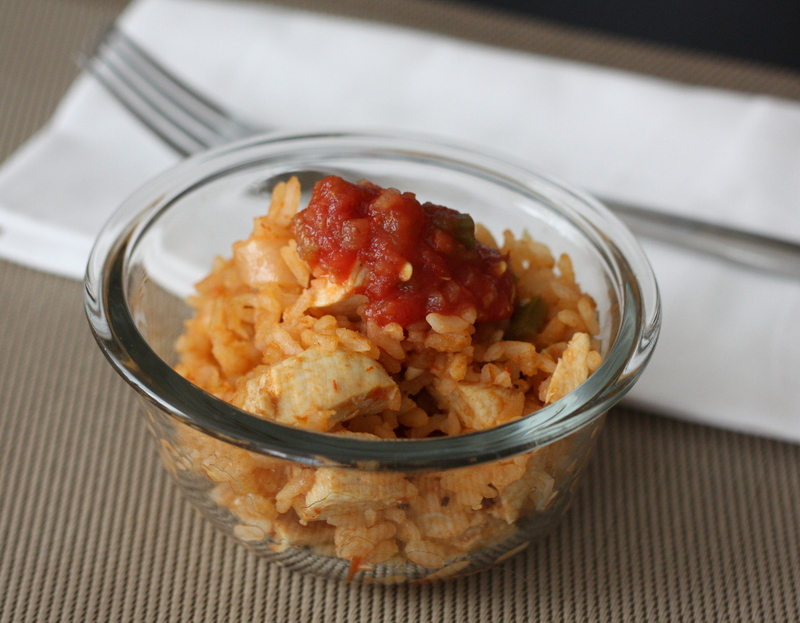 This chicken and Spanish rice dish is both quick and easily made on the stove! Let’s just say this week has been quite a week after last week’s law school placement break. I definitely needed some quick and easy, yet always tasty meals as I got back into high gear! Not only does my food need to be tasty, but I also need some tasty jazz. So take a listen to “The Rain in Spain” played by jazz pianist Oscar Peterson. Dice uncooked chicken breast. Set aside. Put oil in a large frying pan over medium heat. Be sure the frying pan has a lid. When oil is hot, add uncooked rice, coating it with the oil. Stir constantly until the rice kernels are opaque white and slightly browned. Add boiling water, cumin, salsa, pepper, and uncooked chicken breast. Reduce heat to medium and simmer covered for 13 minutes. Remove from heat and let sit 2-5 minutes before serving. About Jillaine: As a professional jazz singer who also studies law, savoring daily nosh with family refreshes me. You are invited to my table to try great food, hear tasty music, and join in upbeat conversation!